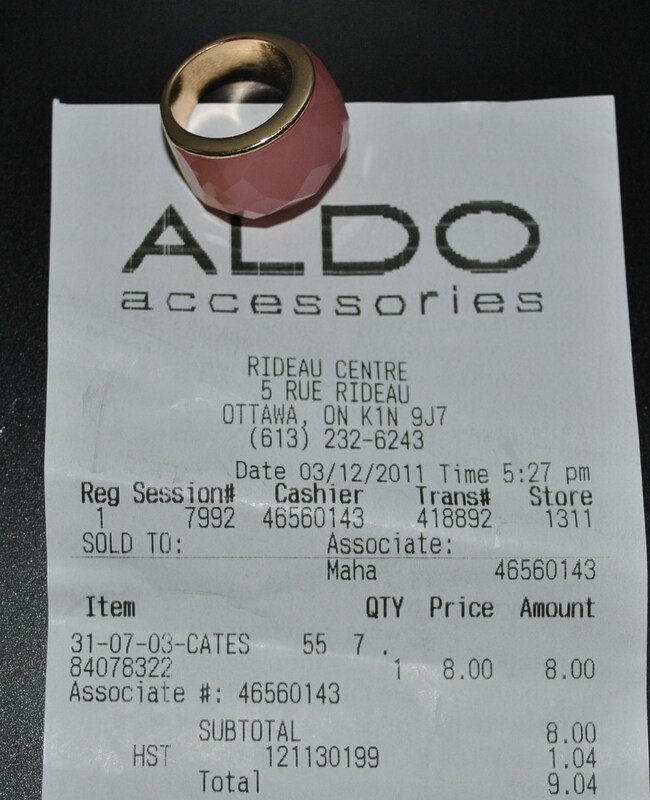 I got this ring at Aldo and it came in at a very affordable $9.04! That leaves $10.96 for the SpendThrift Savings Bank! 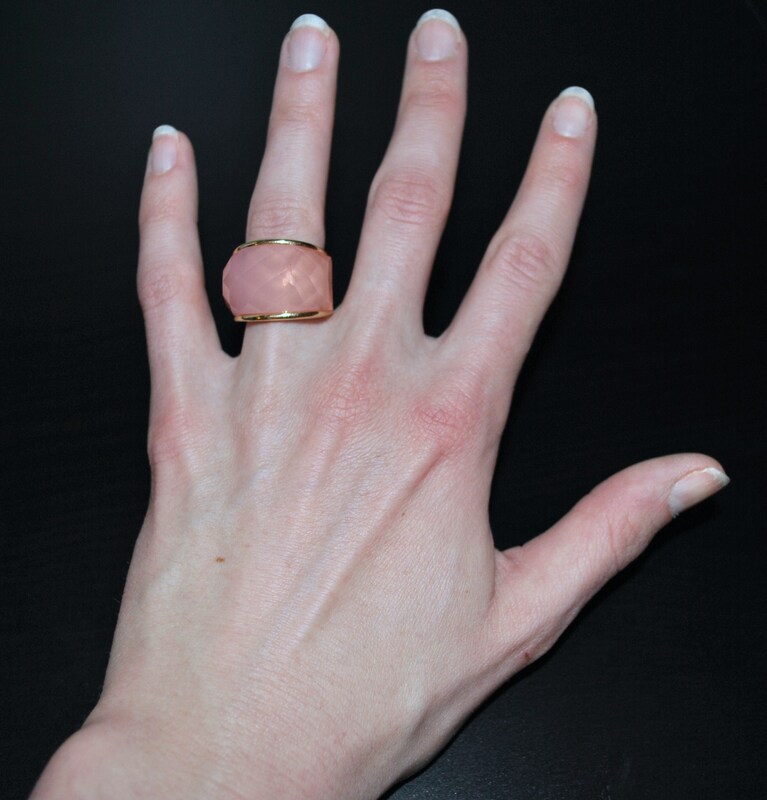 In terms of rose quartz rings I didn’t find that much out there. There was one at the Bay that was way out of my price range ($120) and another at Ardene that was very affordable ($4.50) but definitely looked cheap. 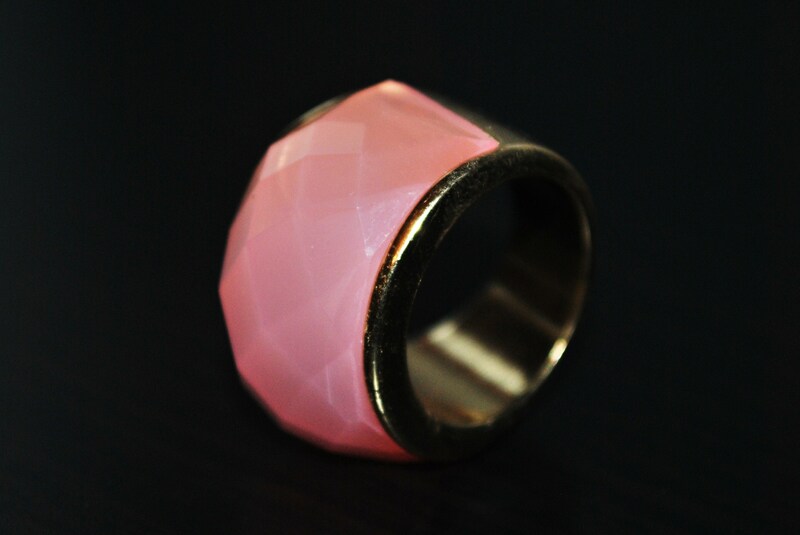 I would recommend looking online if you want something similar that is more high-end or is made of actual metal and stone (the one I bought is pretty much all plastic). All in all though I’m happy with the ring that I found and I hope that it stands up to the sun and surf of Mexico 😮 I’ll let you know. I think that I’ll wait to do my “Triumph or Tacky?” post after I get back from my trip. And these aren’t even the best pieces that I saw! 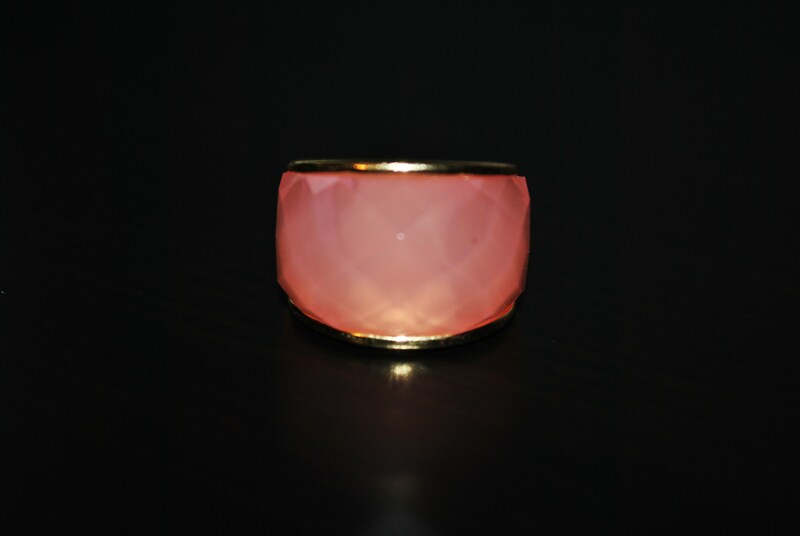 Unfortunately, they don’t sell all of their products on their website but if you like the look of yellow gold with natural stones in soft pastel tones they have some really beautiful products right now. So now it’s time for your opinion! How do you think I did in this week’s challenge?